Whenever planning a cruise ship holiday, the logical choice would be to select cruise ship departures ports that are either close to where you live or somewhere near a location you will be visiting. In other words, you can either depart from a port nearby your home; or you could drive or fly to another destination and join a cruise from there. In Australia, for example, there are a number of cruise ship departures ports all around the country’s large coast. This allows different cruise lines to offer vastly different cruise itineraries depending on the departure point. With this introduction in mind, you will be better informed as to what to expect when joining various cruises. Starting on the East coast at Brisbane, you will find a large variety of itineraries for cruises to the Islands of Vanuatu, New Caledonia, Fiji and French Polynesia; or up the Coast to Cairns and other ports close to the Great Barrier Reef. You can also board a cruise from Brisbane to cruise around the Top End of Australia; travelling via Darwin and Bali, to Fremantle. There are also some options to New Zealand via Sydney. If you live in or near Sydney you probably have the largest choice of visiting cruise lines and cruises. You could board here for all the itineraries that are mentioned above for Brisbane; plus several others that travel further afield to Tahiti and the South Pacific, or North to Asia and beyond. There are several Cruise Lines that call at Sydney as part of their world cruise itinerary. It is possible to join the cruise in Sydney and travel all the way to Europe; visiting South East Asia, India, Suez and Dubai along the way. Melbourne is another Australian cruise port to consider, particularly if you are looking for a Short Break cruise; offering several 2 – 4 night cruises along the South Coast, or to Auckland or Tasmania. Like the previous two departure ports; you can join a longer cruise at Melbourne and experience part of an Australian circumnavigation or a cruise to New Zealand. You can also depart from Melbourne for Hong Kong, Singapore or Dubai, as part of a cruise to Southampton. Fremantle also offers many of the round Australia cruises discussed above. If you choose to cruise around the Top End from this port; then you also have the opportunity to visit the Great Barrier Reef on your way to Sydney. There is also a great range of Asia cruises leaving from Fremantle to Singapore and Malaysia; usually calling at Bali en-route. Auckland is the major Cruise Line Departure Port for New Zealand and offers many options to cruise around the country. You can visit Melbourne and Sydney, or even to embark on extensive cruises to all the above destinations; as well as further North to the islands of French Polynesia, the Great Barrier Reef and Singapore. Should you wish to cruise the Northern hemisphere there are a huge number of worldwide cruise ports to choose from; and here we will mention just a few of the most popular ones. 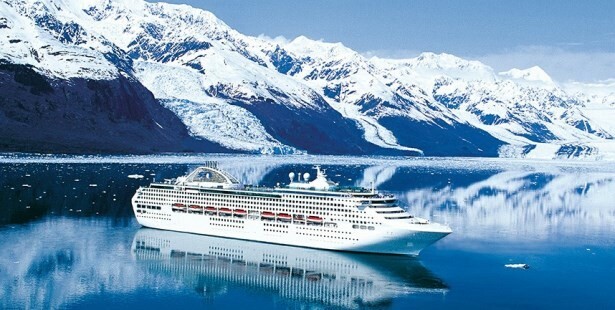 To cruise to Alaska you have a choice of the Inside Passage. These cruises are generally roundtrip from Seattle or Vancouver; while Gulf of Alaska cruises mostly use Anchorage as their Departure Port. In Europe some of the most popular cruises in the Mediterranean leave from Barcelona in Spain, Harwich or Southampton in the UK, Rome or Venice in Italy or one of the Baltic Ports such as Copenhagen, Stockholm or Amsterdam. Aussies and Kiwis embarking on an epic voyage from Europe back to Australia will generally join their cruise in Southampton or Rome.